Ward Manufacturing LLC currently manufactures their entire pipe fitting line in conformance with California legislation commonly known as AB-1953, and Federal Public Law 111-380, that amends section 1417 subsection (a) and (d) of the Safe Water Drinking Act. Each of these regulations requires that plumbing components used in the transportation or distribution of potable water be “Lead Free”. 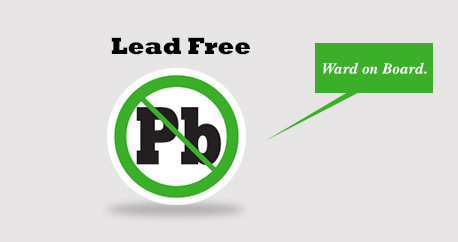 The term “Lead Free” is defined as the wetted surface area of pipes, pipe fittings, plumbing fixtures, and fixtures have a weighted average of not more that 0.25% lead content. Ward Manufacturing’s pipe fitting line includes Class 125 and 250 Cast Iron, Class 150 and 300 Malleable Iron, and Class 150, 250, and 300 Unions; iron to iron, brass to iron, and brass to brass.